The favourite student hangout, Woodbox Cafe has opened a third outlet in the city! 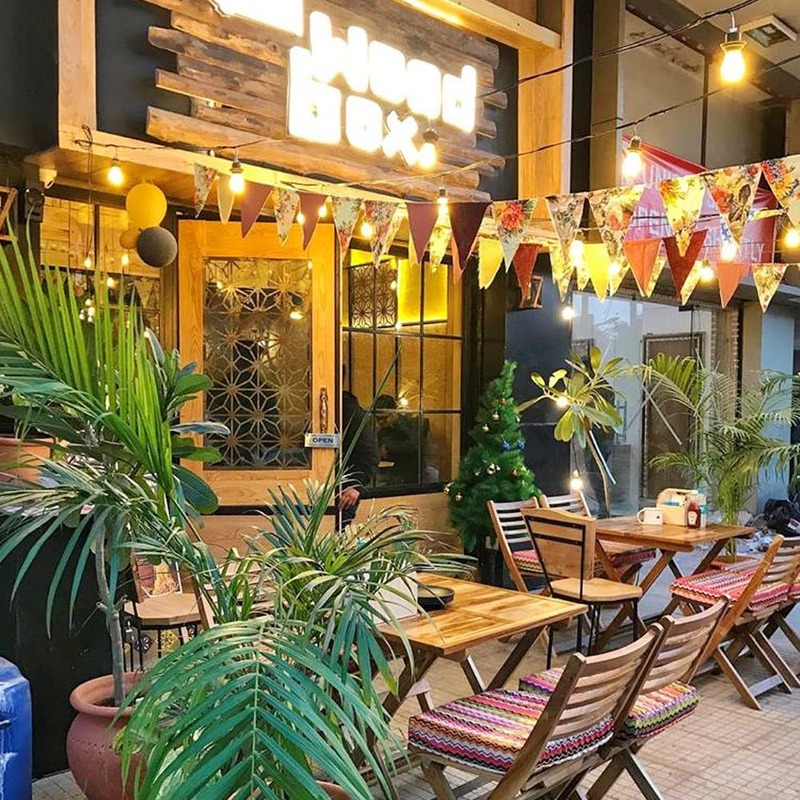 Unlike its cafes in Satya Niketan and Hudson Lane, the new outlet in Indirapuram also has a small outdoor area where you'll probably find us on good weather days. One of the reasons why Woodbox is so popular is because they offer great food at prices that won't pinch the pocket and boy, will their portions impress you! Their menu is a mix of usual dishes like garlic bread and pesto pasta, but they take things up a notch with their Kinder Joy Shake and Flying Noodles (the photos will tell you why!). If you have a big appetite, opt for the giant WBC special Herbivorous or Carnivorous platter that's got numerous elements like dimsums, burgers, rolls and more. Indirapuram folks, make a plan already! Or Woodbox's menu and their prices will anyway convince you to do so.